Places to see in Yangyang: The little village of Yangyang has a Lepcha Heritage Centre with a museum dedicated to Lepcha art and culture. There is a helipad just 3 kms from Yangyang Bungalow surrounded by the beautiful Tig Cho lake and dense forests. 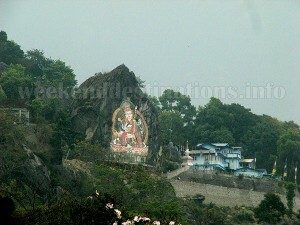 A rock painting of Guru Padmasambhava and a local monastery are few other things you can visit in a day trip. Being at the foothills of Maenam Hills, Yangyang is covered in dense forests, which is home to numerous bird species. 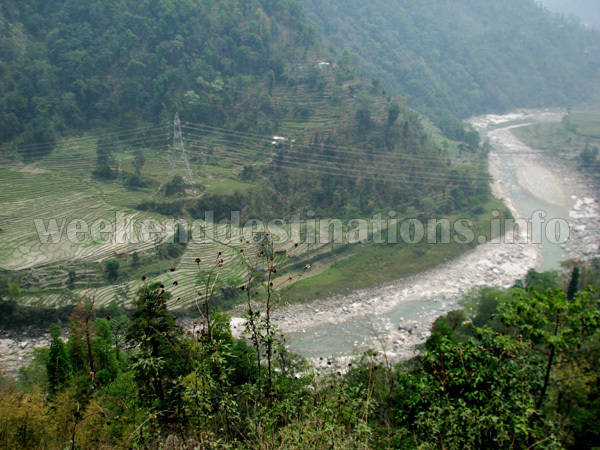 The nearby Teesta River is another attraction of Yangyang. Nearby attractions of Yangyang: Ravangla, which is just 24 kms away, is the most popular touristic attraction near Yangyang. In Ravangla, you would find a local monastery, the newly-built Buddha Park and the trail to Mainam Hill. Solophok – famous for its Chaardham Temple Complex, the Samdruptse Monastery near Namchi and Tendong Biodiversity Park are all located within 65 kms. from Yangyang. Temi Tea Garden, the only tea estate of Sikkim is around 40 kms from Yangyang and can be visited in a day trip. Things to do in Yangyang: Yangyang is a birdwatcher’s paradise. The nearby Teesta river valley and the dense forests surrounding Yangyang is home to some of the rarest birds of Sikkim. Another great activity to be enjoyed by tourists in Yangyang is riverside picnic and camping. The meandering Teesta river with its wide valley is a great spot to spend an idle morning picnicing with friends and family. Best time to visit Yangyang: You can visit Yangyang throughout the year. The winters are not that biting at Yangyang and the summers are cool and pleasant. Bird watching can be enjoyed throughout the year. How to reach Yangyang: The village of Yangyang is around 53 kms from Gangtok through Singtam and 115 kms from Siliguri. The Yangyang Bungalow is located further 1 km ahead of Yangyang town in a secluded hilltop. Lodging and dining facilities in Yangyang: The majestic Yangyang Bungalow overlooks the Bhaleydunga Hill and the rolling valleys. Perched on the edge of a hill top and surrounded by forests, this British plantation style bungalow has two majestic rooms and a huge lobby with ceiling to floor windows. There are fireplaces in every room and all bathrooms are equipped with hot water geysers. The Yangyang Bungalow has a nice lawn, few park benches and a nice garden. The word “tranquility” best describes the experience at Yangyang Bungalow. 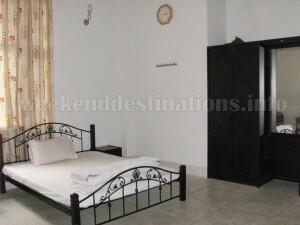 It is a great hideaway for travellers wanting to spend a few days far from the din. Food is necessarily Indian cuisine and served by the staff in the bungalow.